The Crazy Plate at Pupuseria El Rinconcito on Wells Street, featuring, clockwise from bottom left, fresh salad, chicharrons, a cheese pupusa (bottom) and a potato pastelito. Spinach pupusas at Pupuseria El Rinconcito on Wells Street. Pupuseria El Rinconcito on Wells Street. Steak pupusas at Pupuseria El Rinconcito on Wells Street. Pollo en Crema at Pupuseria El Rinconcito on Wells Street. Tostones at Pupuseria El Rinconcito on Wells Street. Flan at Pupuseria El Rinconcito on Wells Street. Chicken soup at Pupuseria El Rinconcito on Wells Street. 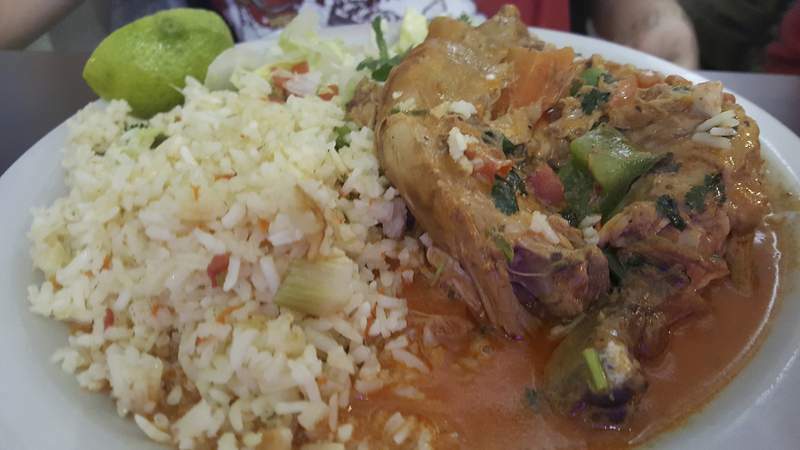 A piece of fried chicken was included on the side with the chicken soup at Pupuseria El Rinconcito on Wells Street. A tripe taco at Pupuseria El Rinconcito on Wells Street. Pastelitos, Cuban fried pies, at Pupuseria El Rinconcito on Wells Street. Stewed beef at Pupuseria El Rinconcito on Wells Street. Slaw for pupusas at Pupuseria El Rinconcito on Wells Street. As the saying goes, you can never have too much of a good thing. 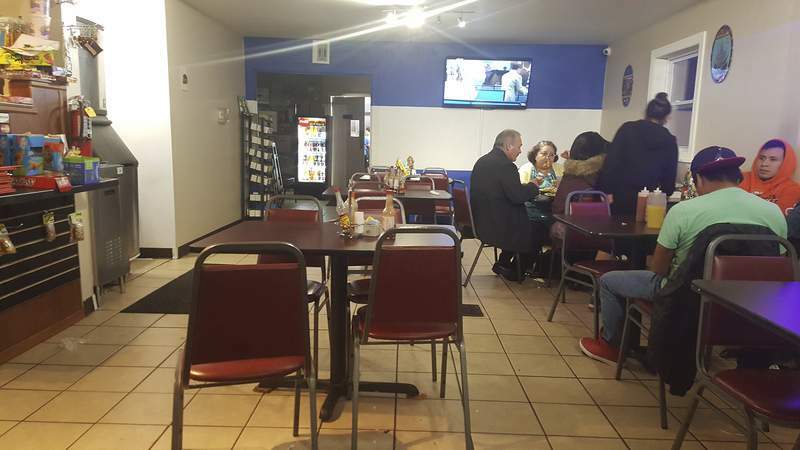 So when Fort Wayne's second Salvadoran restaurant opened along Wells Street, I was eager to see how it was, given I fell in love with the cuisine – especially the pupusas – from my first bites several years ago. Not only did Pupuseria El Rinconcito offer the classic dishes I expected, there were some offerings I did not expect as its menu nicely crossed over into Mexican fare. One variety of pupusa I tried may be my new favorite – spinach. 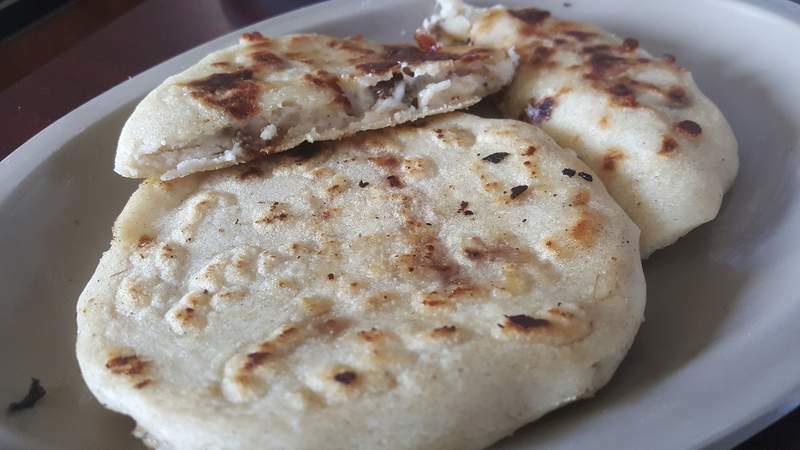 Pupusas are basically the national dish of El Salvador. They are freshly made, thick masa dough patties stuffed with cheese and ingredients, then grilled on a flat top. The masa is much thicker than a standard tortilla and, as a result, the corn dough stands front and center. 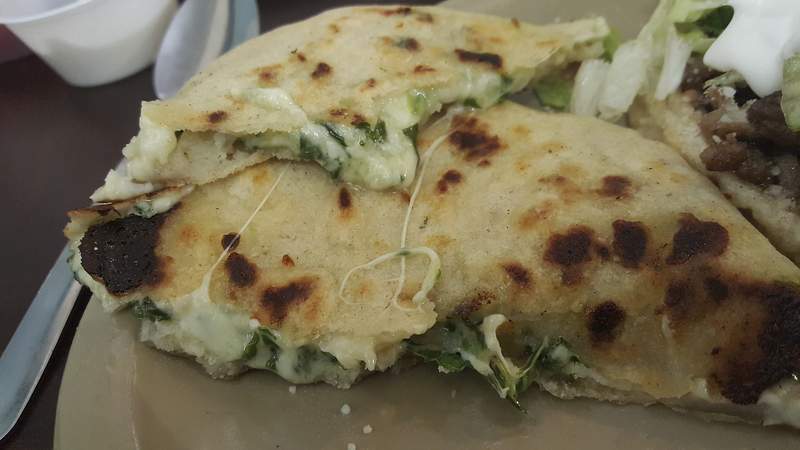 I have had squash and loroco flower blossom-stuffed pupusa and loved them, but the strong iron-rich flavor of the fresh spinach worked even better with the gooey white cheese inside. It reminded me of a good spinach dip wrapped in cornbread. 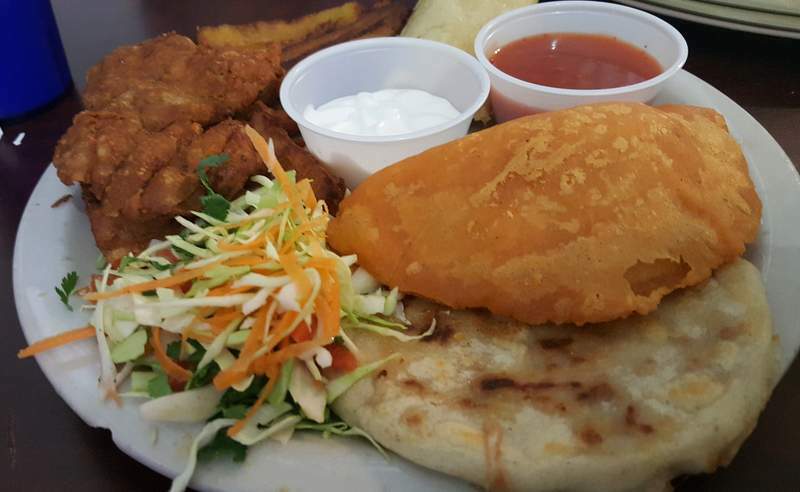 El Rinconcito served its pupusas with slaw and mild red sauce – the traditional condiments – and the slaw was the highlight. 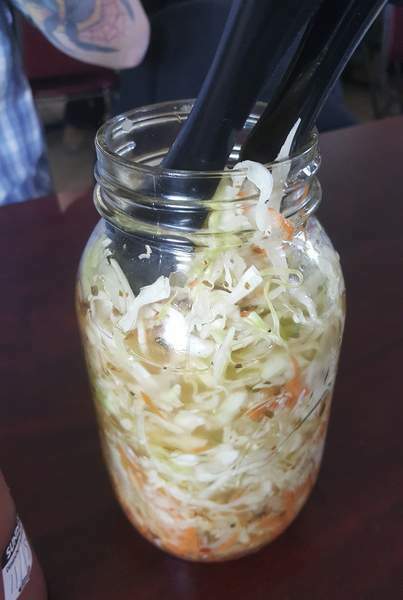 It arrived in a big jar where it was allowed to macerate a bit and almost pickle in its vinegar. Not only was it great on the pupusas, but it was also tasty on its own as a side. The mixed (pork and cheese), bean and cheese and plain cheese pupusas were all excellent, especially the mixed that incorporated crispy pork chicharrons (fried belly or rinds). El Rinconcito also offered ones with steak, which I had not had before. The flavor of this pupusa was good but the steak was tough and I would pass next time. That steak was just as tough in my steak taco, so the same applied, but I did find a unique taco that I must have again. 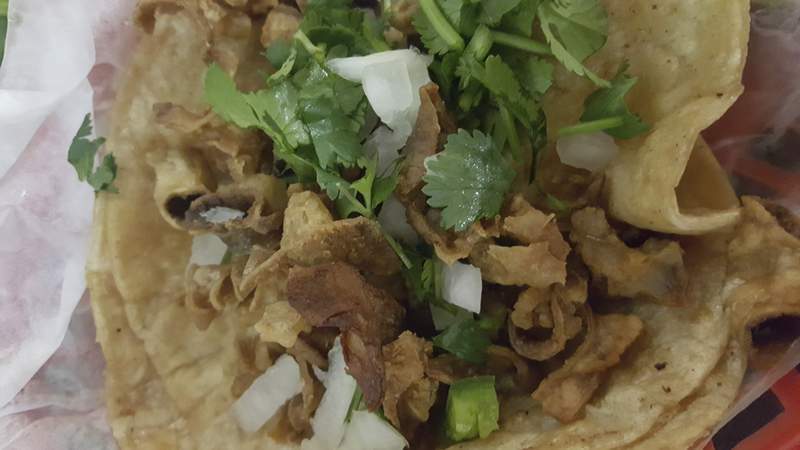 My tripe taco was filled with beef stomach that had been deep-fried until super crunchy like the chicharrons, but they had a little bit of funky offal flavor to them like one would expect from an innard. They were nicely seasoned, topped with fresh onions and cilantro and double-tortilla wrapped. They were perfect with just a touch of salsa verde. The carne asada steak in my Carne Guisada (stewed beef) dinner was much better. This simple dish consisted of a large portion of beef that was slow-cooked with onions and tomatoes. 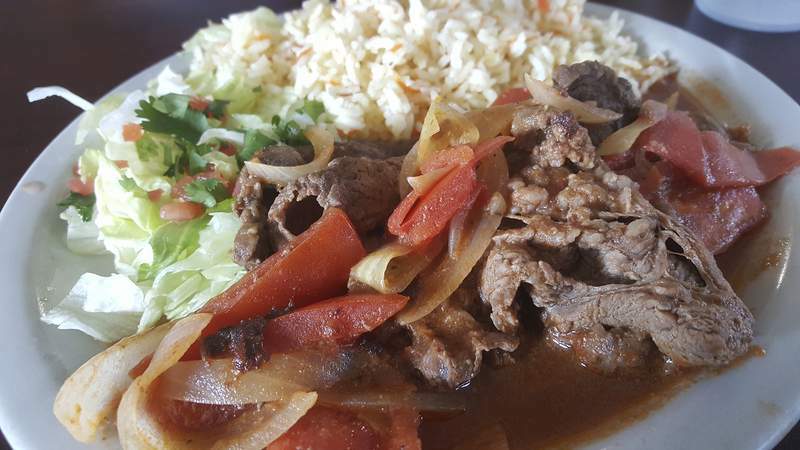 The steak was quite tender, the tomatoes gave it a tart note that was offset nicely by the sweet onions, and it included rice, a fresh salad and tortillas. 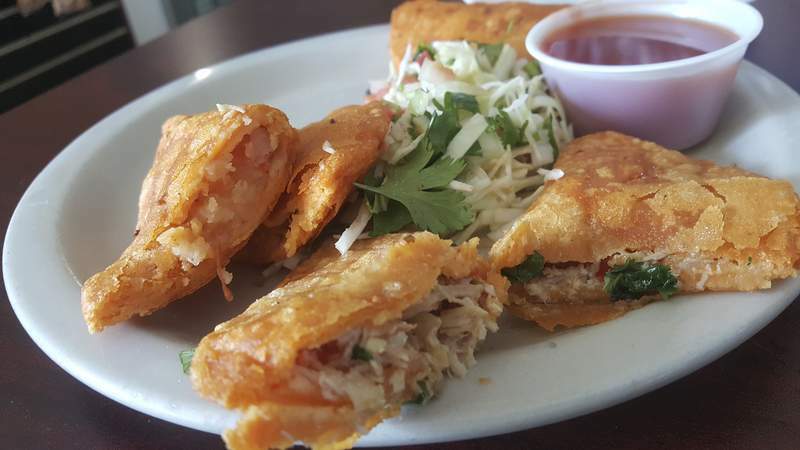 When it came to appetizers, there was one choice that stood above all, the pastelitos. I was surprised to find the little stuffed pies here given they are a Cuban treat, but the ones at this Salvadoran eatery were up to snuff. The flaky, yellow little dough pockets – similar to empanadas – were filled with potato or chicken, and the chicken proved to be the best. The puff pastry crust was perfect in texture and flavor, and the stewed chicken inside was tender and nicely flavored with tomatoes and peppers. The potato-stuffed ones were also tasty, just not as exciting as the chicken. I received a pastelito and a pupusa in what proved to be the best dish to taste a little of everything this cozy little restaurant had to offer. The Crazy Plate had no description on the menu, but my server – who was wonderful and who communicated very well in English – told me it included those two items along with a sweet corn tamale, fried yuca and chicharrons. The yuca was perfectly executed and tasted like potato wedges. The fried pork was crunchy outside and quite chewy inside like jerky but was addictive in a way, and I gladly munched the pieces. The corn tamale was made of just sweetened masa and was a tad dry. The chicken tamales El Rinconcito offered were much better, but not as good as most of the tamales I have had at Mexican restaurants. 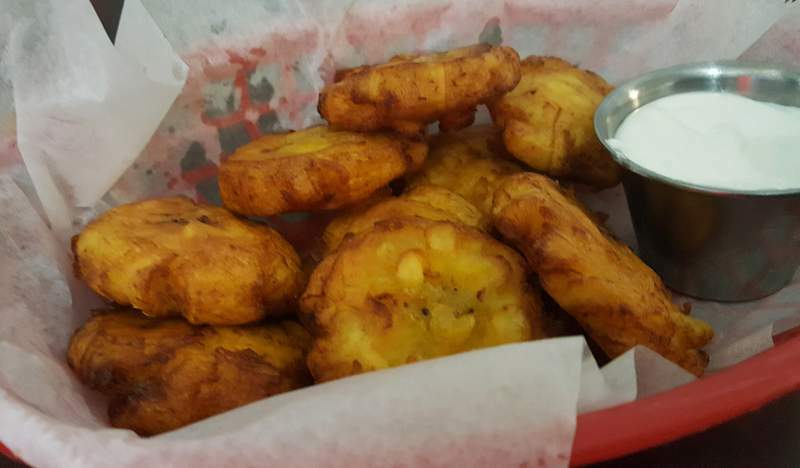 The tostones (savory fried plantain chips) were also a nice appetizer or side option as they were flawlessly executed. They didn't even need the side of crema they came with as they tasted great on their own. The Pollo en Crema (chicken in cream sauce) was also not as good as I hoped. The bone-in leg and thigh was stewed nicely, but the sauce was a bit thin and did not have the right creamy consistency. The best chicken dish was the chicken soup. 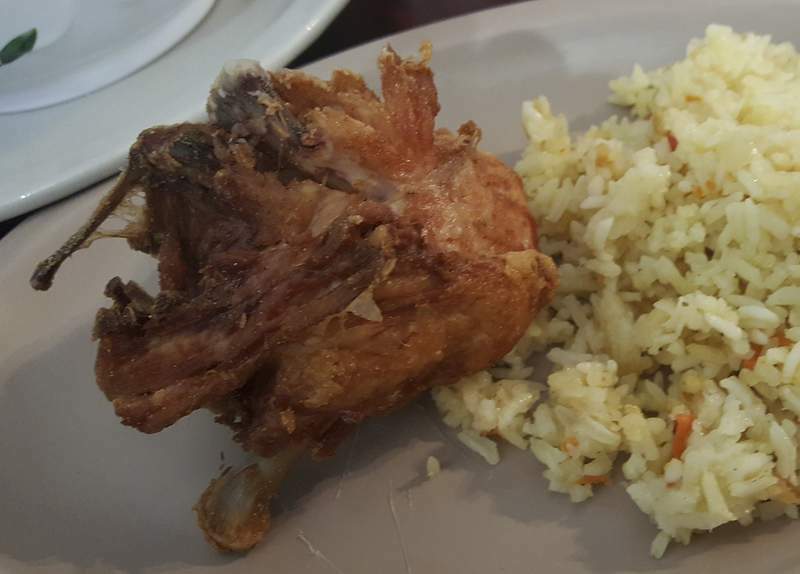 Not only did I receive a huge bowl of delicious cilantro-dotted chicken broth filled with stewed chicken, onions, zucchini and yuca, I also got a side of rice and a piece of fried chicken to go with it. 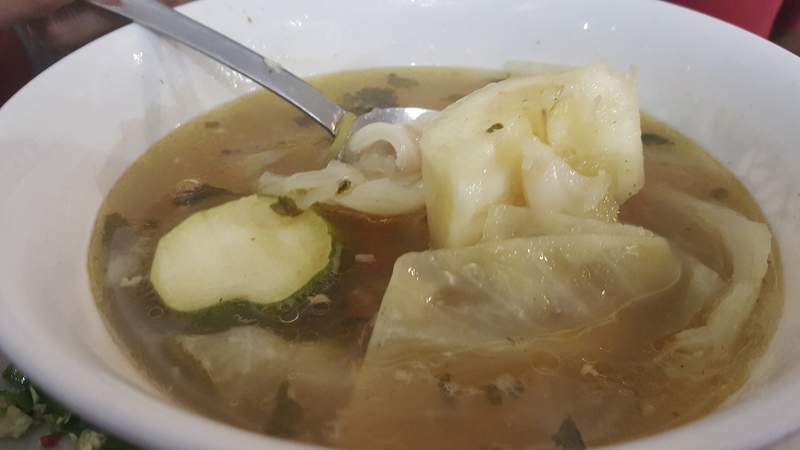 My server explained that they serve the fried piece on the side even though it is meant to be put in the soup because most people want to eat it separately. I can see why because it was a great piece of fried chicken in its own right. 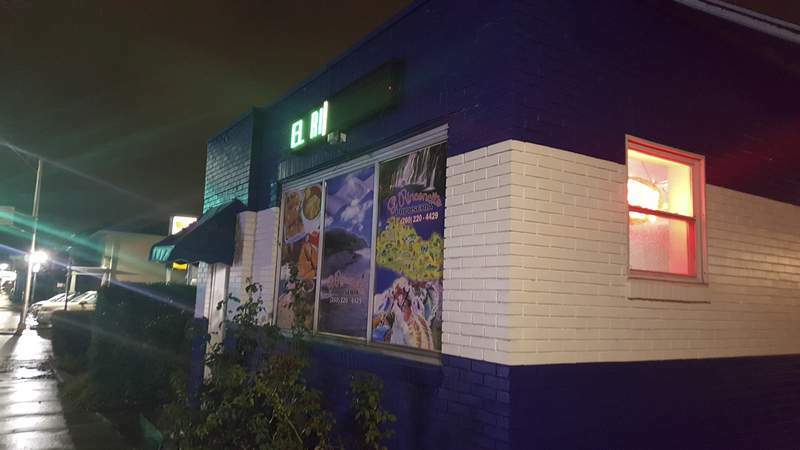 I suggest getting a glass of El Rinconcito's fresh fruit water or horchata to wash down the tasty food. The pineapple water had tiny pieces of fresh fruit in it and, though sweet, was not as sugary sweet as others I have had. The horchata was also better than the norm with an almost eggnog flavor what I suspect was a touch of nutmeg. The Arroz con Leche (rice cooked in milk) dessert had a similar flavor and was heavily dusted in cinnamon. Served in a coffee mug, this rice pudding of sorts was very warm and had cinnamon stick throughout its milky, runny rice. 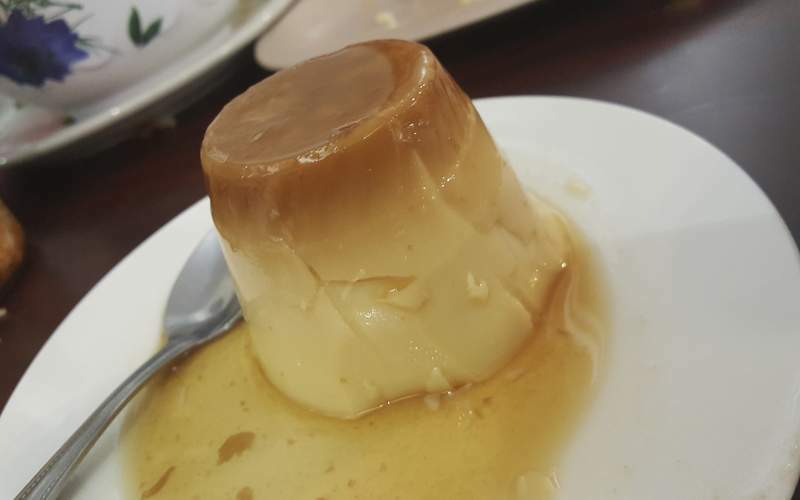 It was not as sweet as I would have liked and was not as good as the flan, which also exceeded the norm. This plateau-shaped custard treat had a dark layer of caramelized custard on top that got lighter as you moved down. It was very firm but had a surprisingly light texture and creaminess that sort of mimicked ice cream. It was coated in a sweet caramel sauce that ran all over the plate and I made sure to soak up every ounce of that sauce with each bite because it was so scrumptious. Address: 1619 N. Wells St.